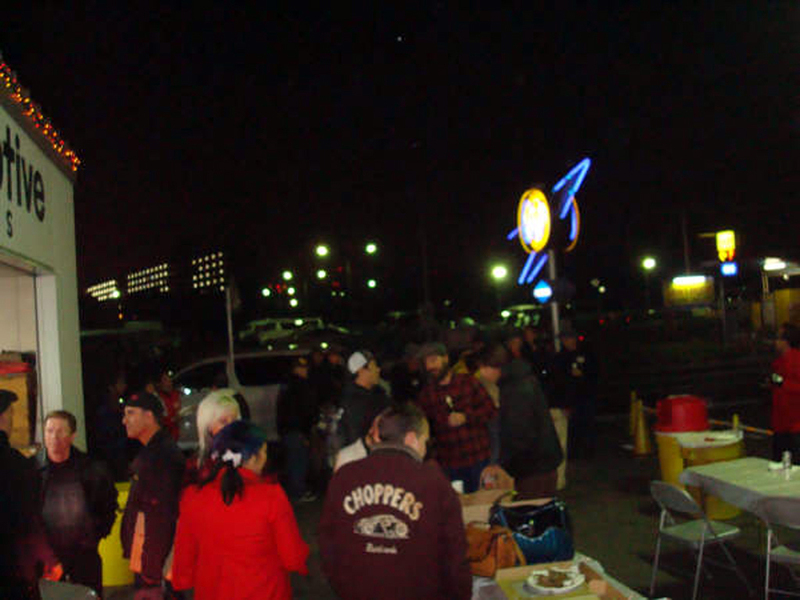 Ehinger Kraftrad at Mooneyes BBQ. 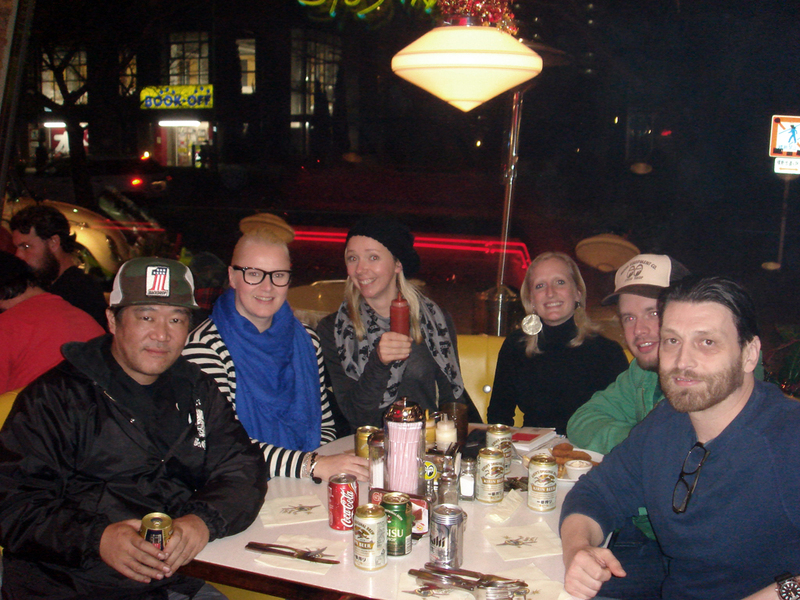 An American BBQ in the middle of Japan during wintertime. 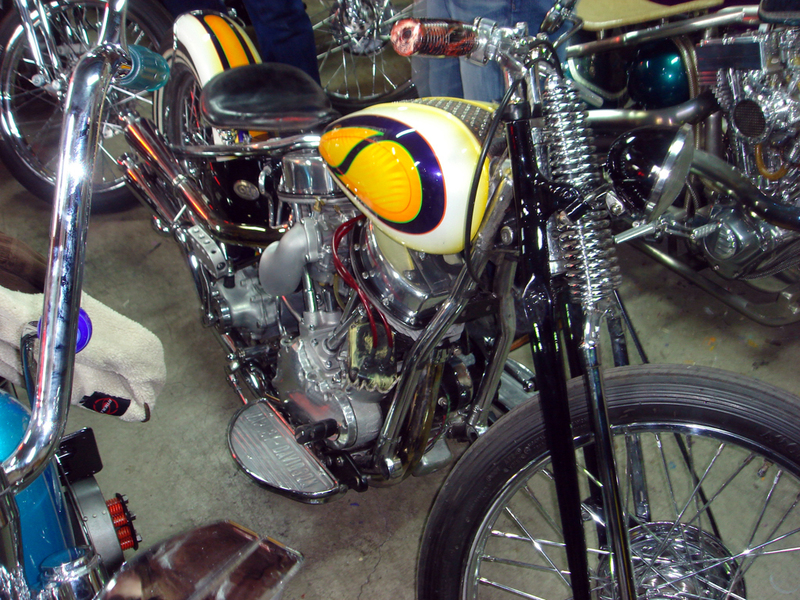 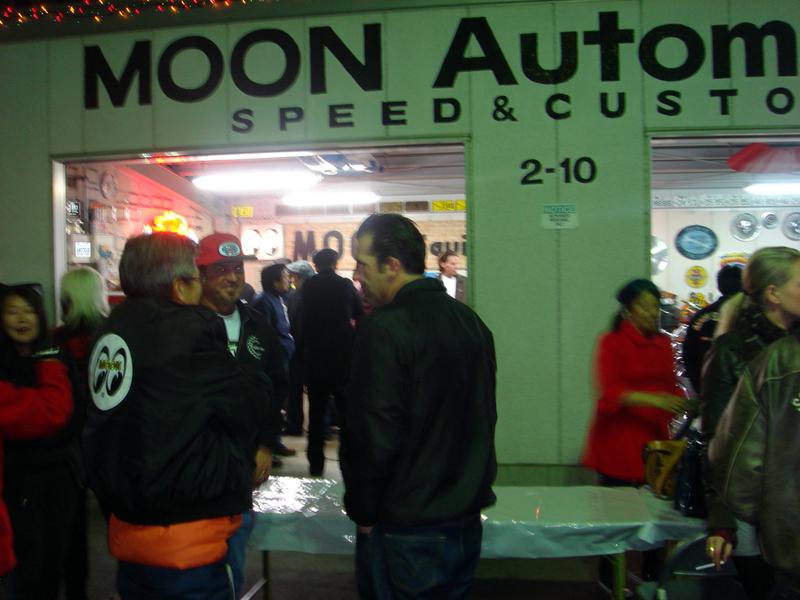 It sounded like an interesting invitation of Shige san and a great ending of the Mooneyes Show. 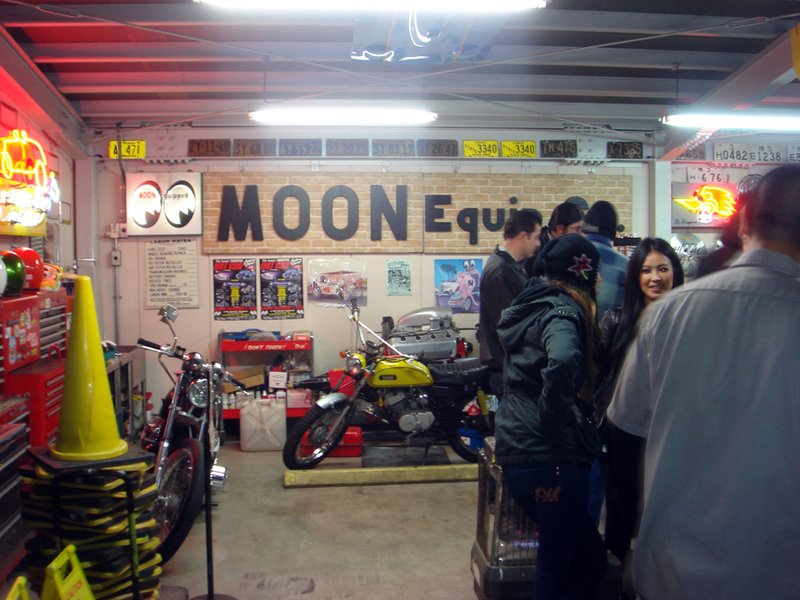 All employees of Mooneyes Yokohama und special guests from abroad have been invited. 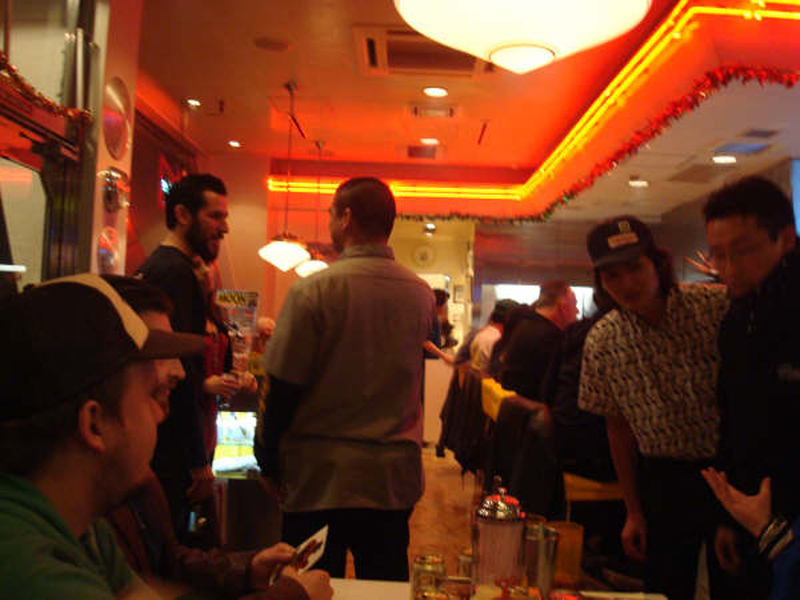 It was our pleasure to took part and we were curious to see who’s there. 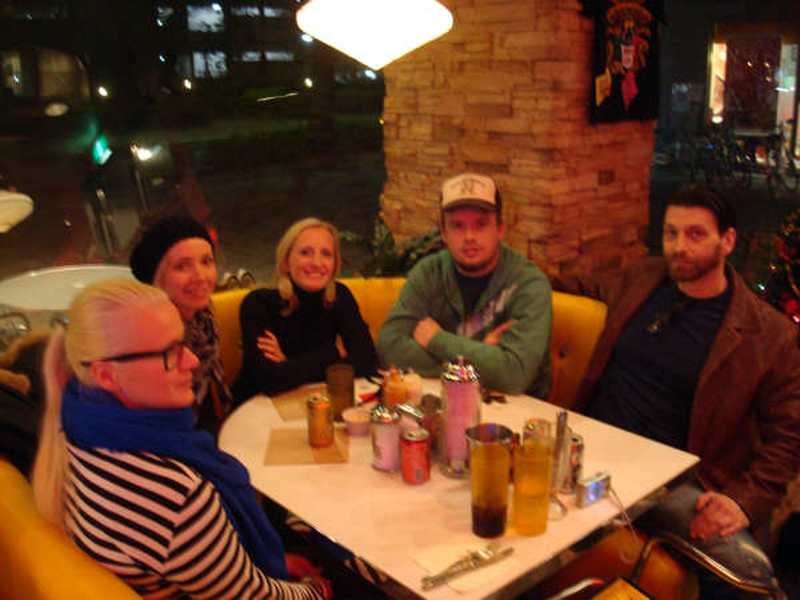 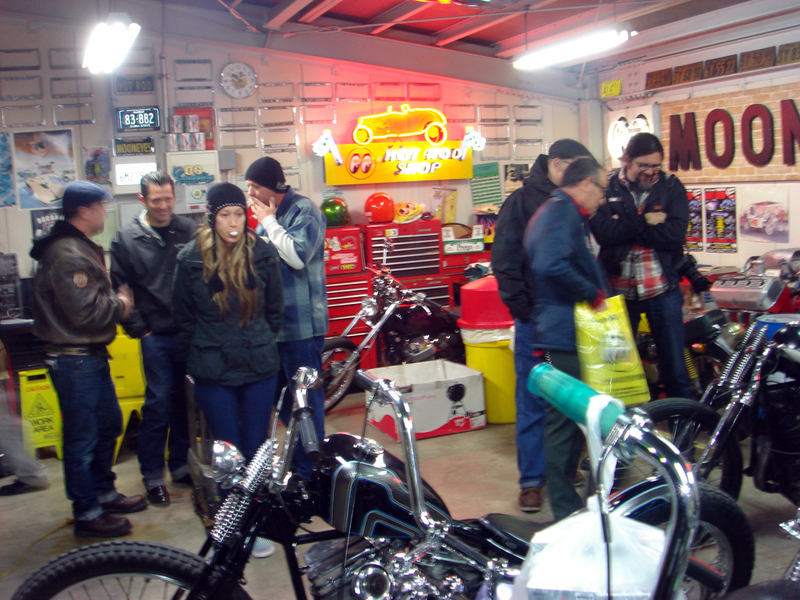 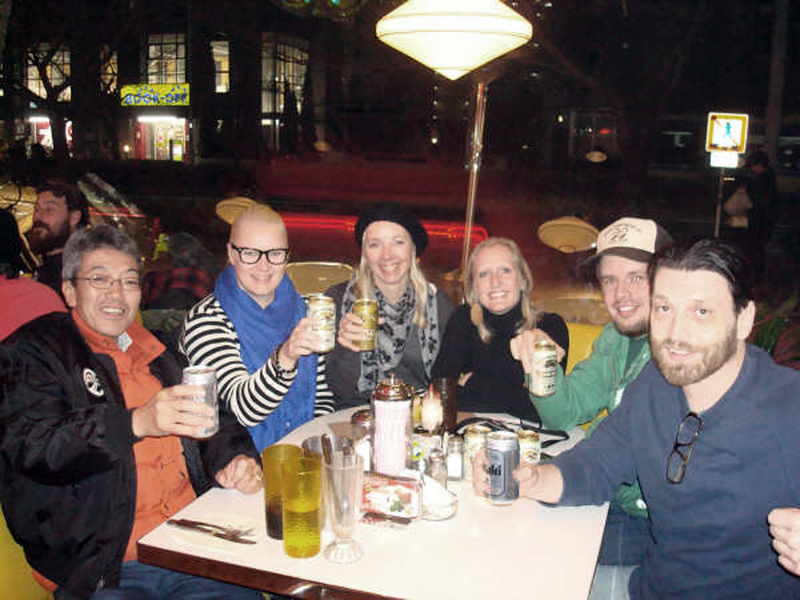 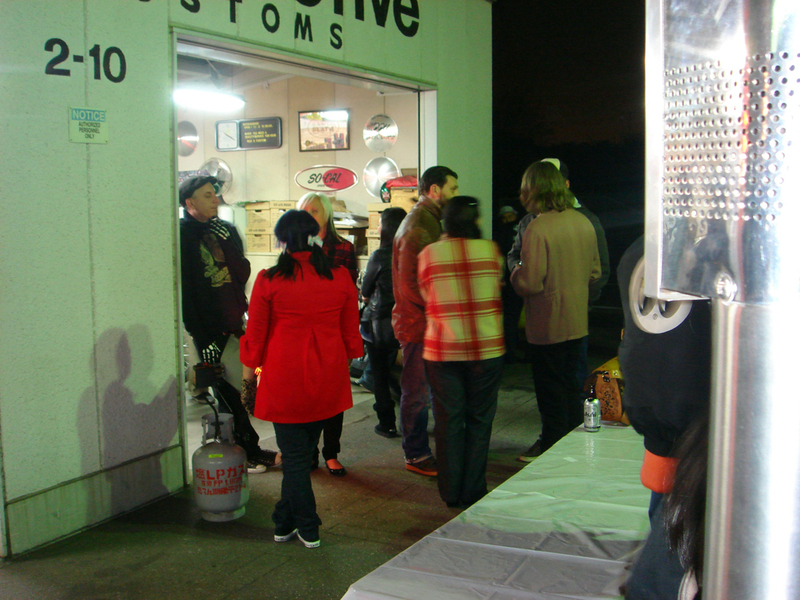 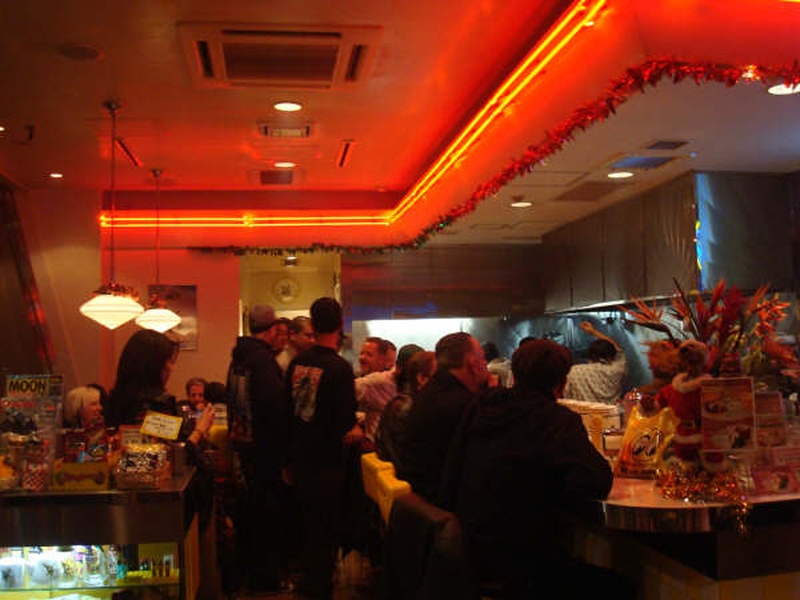 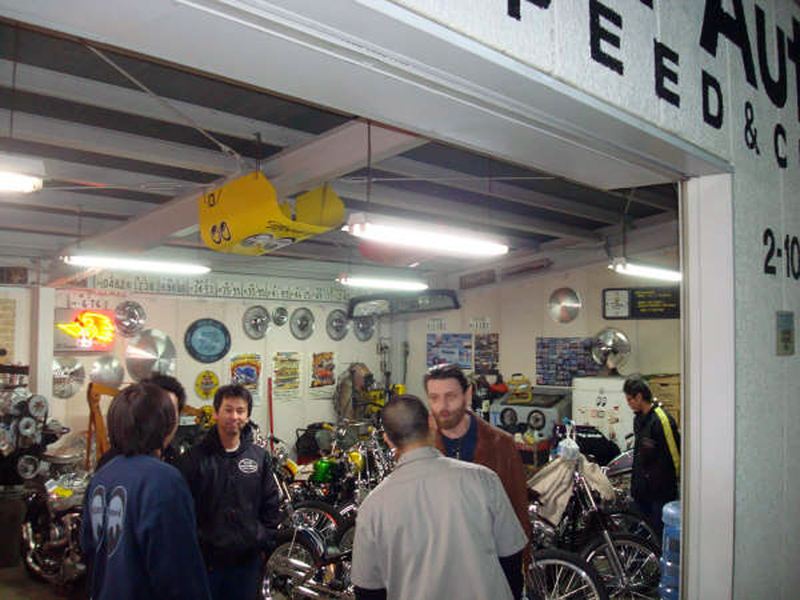 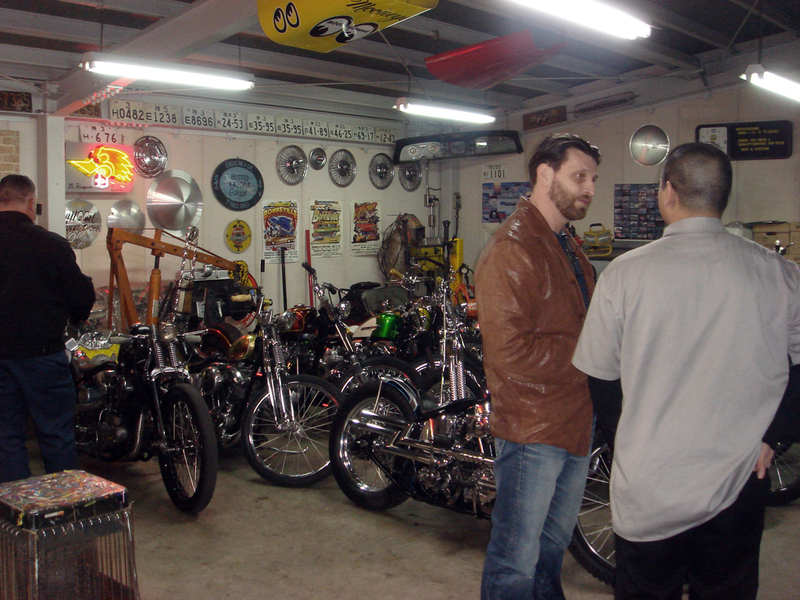 At Mooneyes Café and Mooneyes Shop about 60 guests had a great evening with a lot of interesting talks. 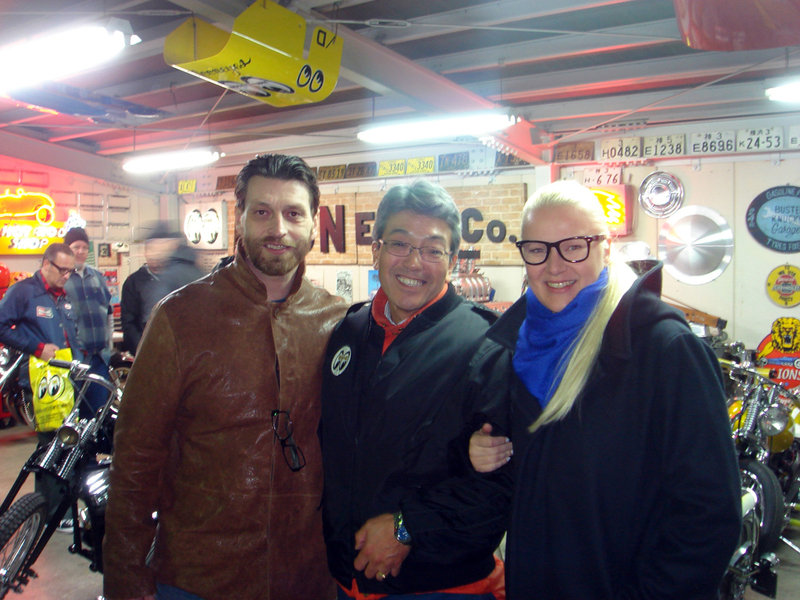 We met e.g. 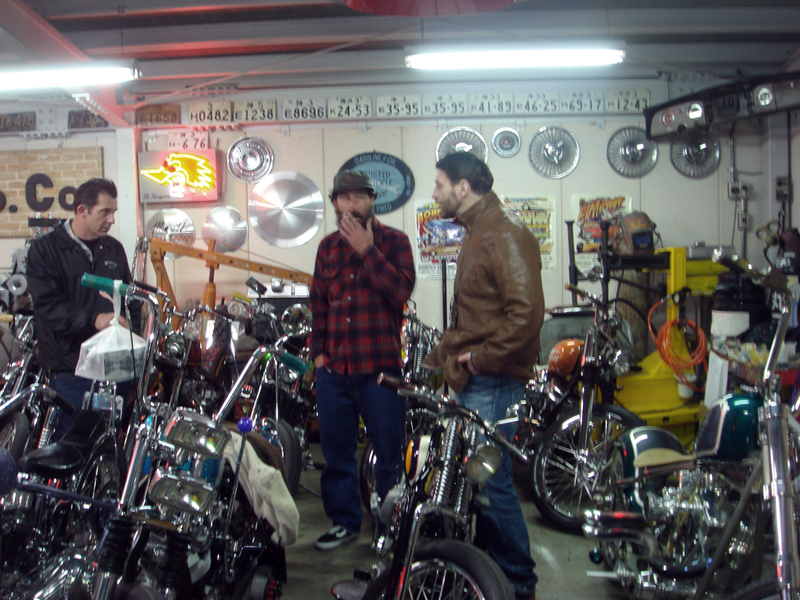 Max Schaaf, Jasin Phares, Tom Foster, John Edwards, Rico Fodrey, Cole Foster und Maurice Klok from Kieft en Klok.